Clarksville, TN – The Goodwill Career Solutions center at 1937 Madison Street will host a job fair for HG Staffing from 11:00am until 2:00pm on Tuesday, January 12th, 2016. Montgomery County, TN – Avanti Manufacturing is one of the latest organizations to become Clarksville-Montgomery County Green Certified. City of Clarksville Mayor Kim McMillan, Chamber of Commerce Director Melinda Shepard, Bi-County Landfill Director Pete Reed and CMC Green Certification Steering Committee Member Daryl Prater attended their green ribbon cutting to congratulate Avanti on earning their certification. 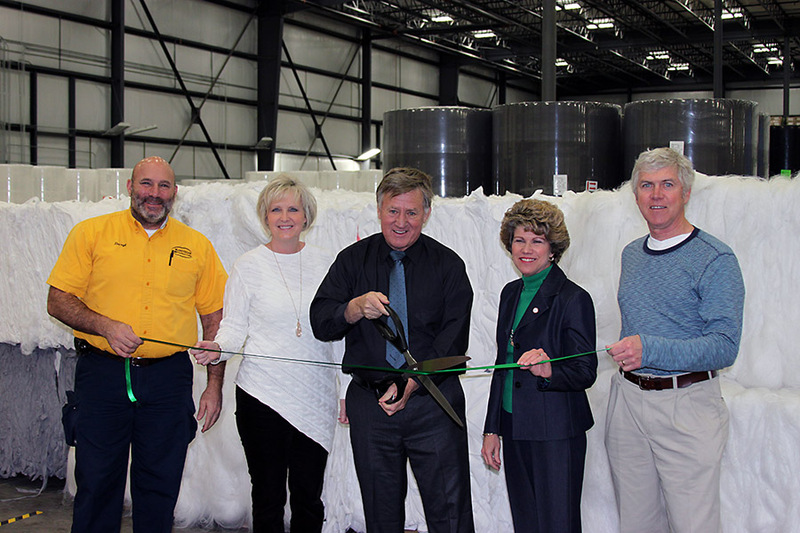 Green ribbon cutting for Avanti Manufacturing.